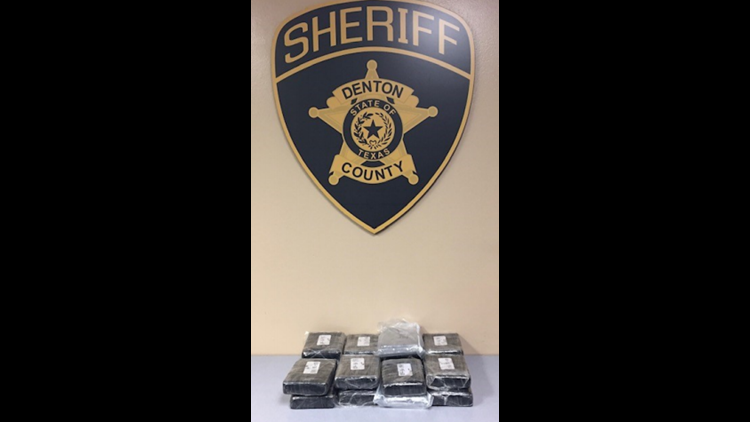 DENTON COUNTY, Texas — The Denton County Sheriff's Office seized 48 pounds of cocaine and an undisclosed amount of marijuana from a Florida man's vehicle during a traffic stop Jan. 29 at the 15000 block of US Highway 380 West in Denton County, officials said Tuesday. Euddy Surun, 39, allowed deputies to search his vehicle during a traffic stop. Deputies first found some marijuana in the vehicle, and then found signs that the vehicle had been modified to have a false compartment. More investigation found that Surun's vehicle had two compartments, both loaded with cocaine packaged "consistent with that being utilized by cartel groups to smuggle illegal narcotics across the Southwestern border and into the United States," according to a Tuesday statement. In total, 48 pounds of cocaine was seized, according to officials. Surun was arrested and charged with the manufacture or delivery of a controlled substance greater than 400 grams, a first degree felony. Surun is currently being held in the Denton County Jail with a combined bond amount of $51,500.